The coconut with husk arrives still encased in its original hard protective husk. Inside this husk lies the familiar coconut shell most commonly available. A thin brown coat, called the "testa" covers the kernel, which is hollow and contains a liquid. When the fruit is ripened, the kernel has a gelatinous creamy texture and the liquid makes a refreshing sweet drink. Husk coconuts are available year-round. A valuable tree, the trunks are used as timber, the leaves for thatch, and the husk is coir, used for matting and ropes. The sap is used to make sugar or fermented to toddy or distilled. Dried nuts, or "copra," are used for oil in detergents, cosmetics, and soaps. Pressed waste becomes animal food. Unfortunately, raw coconut is high in fat. Its strengths are it has no cholesterol and is low in sodium. 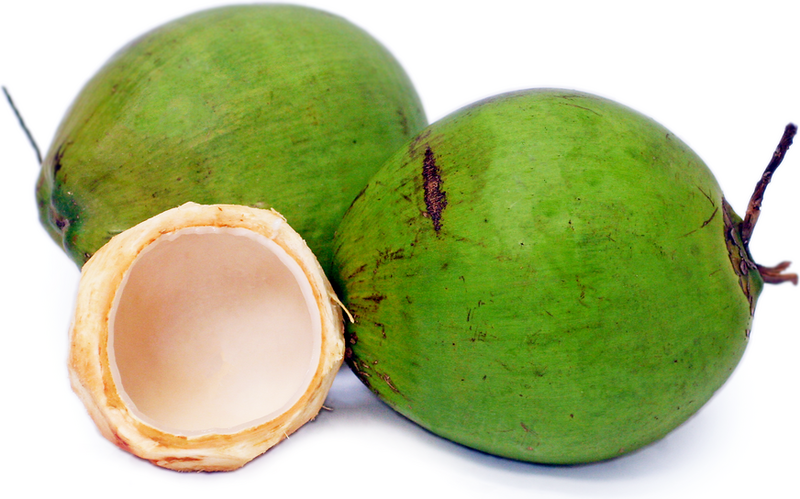 Providing a good source of fiber, coconut offers some iron. Fresh grated coconut makes an excellent decorative topping for frosted cakes and cookies. Add to fruit salad for texture and flavor. To make coconut biscuits, beat one egg white until stiff; beat in 5 ounces powdered sugar and 3 ounces dried coconut. Place spoonfuls onto rice paper on a baking sheet. Garnish each with a cherry; bake at 350 degrees for 15 minutes or until beginning to brown. Makes 10 yummy biscuits. Southern India and Southeast Asia cuisines use coconut milk as a standard ingredient. The islands of the Pacific regard coconuts as a sacred emblem of fertility. The fruit of one of the most useful trees in the world, coconuts flourish on the seashores in moist tropical regions. There is a disagreement among Botanists whether the species is native to the East Indies and Melanesia, as favored by most, or to tropical America. The Philippines, India, Mexico, Indonesia, Papua New Guinea, Malaysia and Sri Lanka are now the main growing and exporting countries. 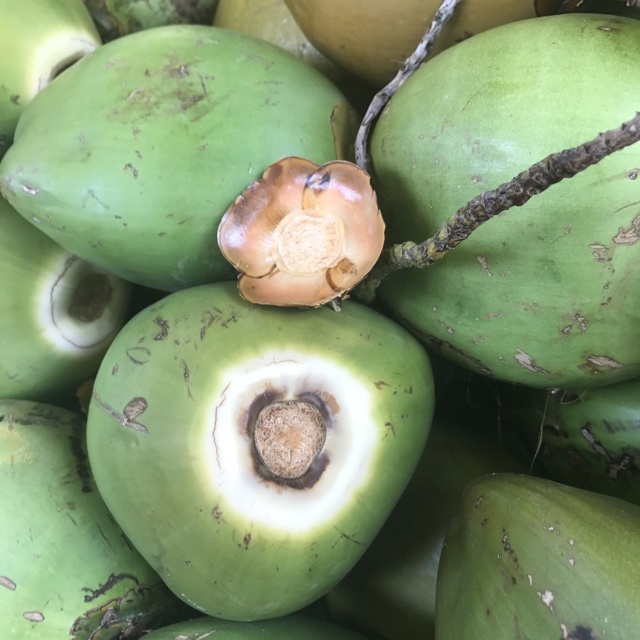 The word "coconut" is derived rom the Portuguese word for goblin or monkey and reflects that the markings on the nut somewhat resemble a face. Recipes that include Husk Coconuts. One is easiest, three is harder. 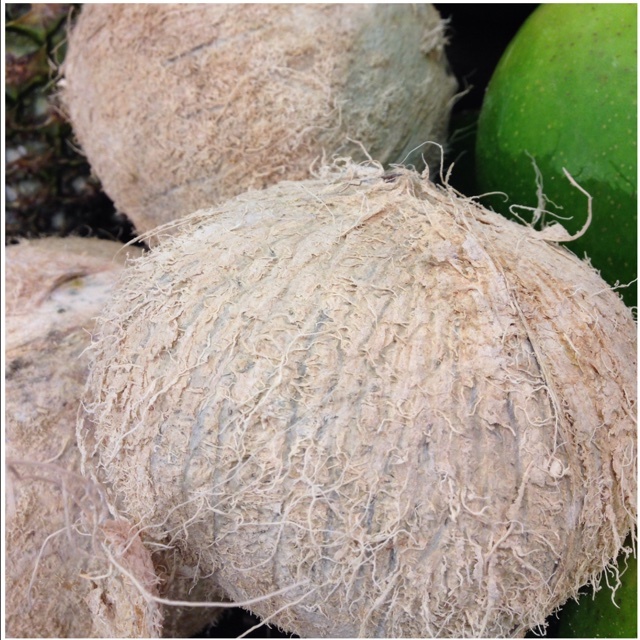 People have shared Husk Coconuts using the Specialty Produce app for iPhone and Android. 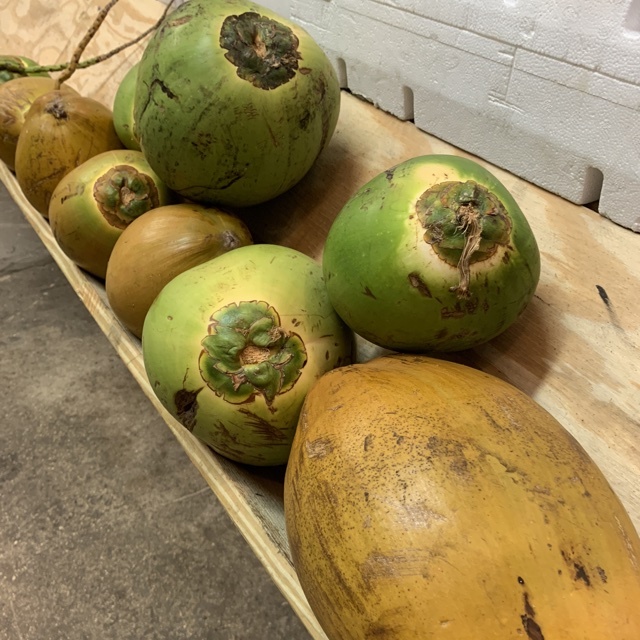 Sharer's comments : Husk Coconut spotted at Robert Is Here Fruit Stand & Farm. 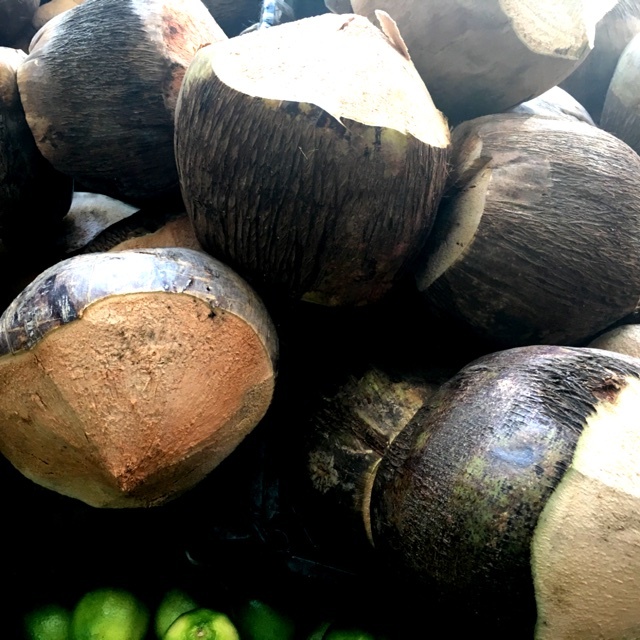 Sharer's comments : Husk Coconut spotted at Yellow Green Farmers Market. 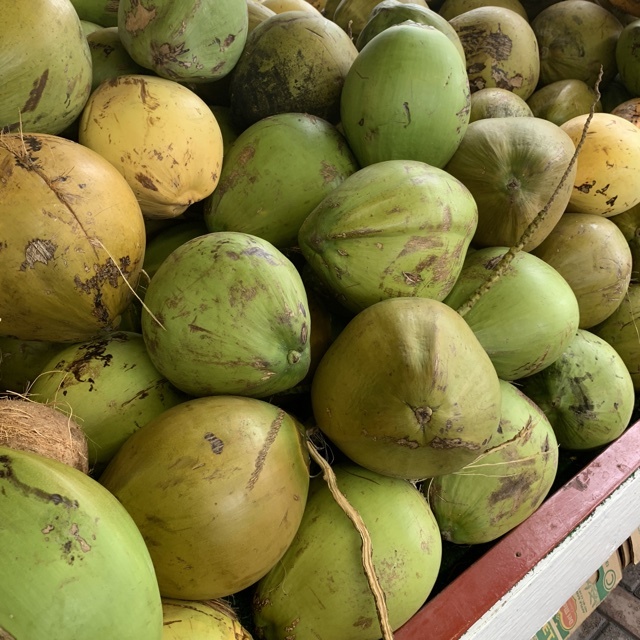 Sharer's comments : Husk Coconut spotted at el far.